« Waterloo Region Nature Annual Holiday Party – Nature Quiz Night! 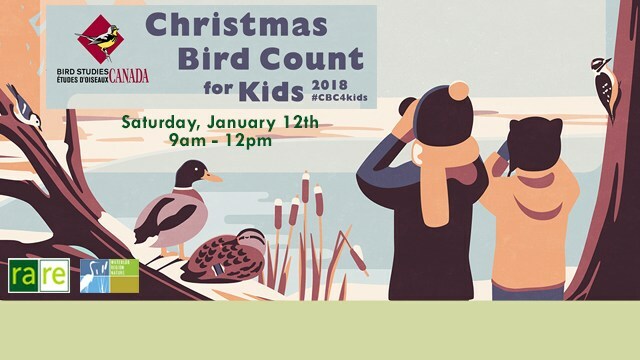 The rare Charitable Research Reserve is partnering with Waterloo Region Nature Kids once again to host our Christmas Bird Count for Kids. This is a family event, where parents learn alongside their kids. Outdoor Bird Count in Teams! Dress for the weather. Please dress to spend approximately 1.5 hours outside. The exact length of the count will be weather dependent. Hot chocolate & coffee will be provided. Binoculars and field guides will be provided for those who do not have their own.